You know the game! Now play it in an extra large format! 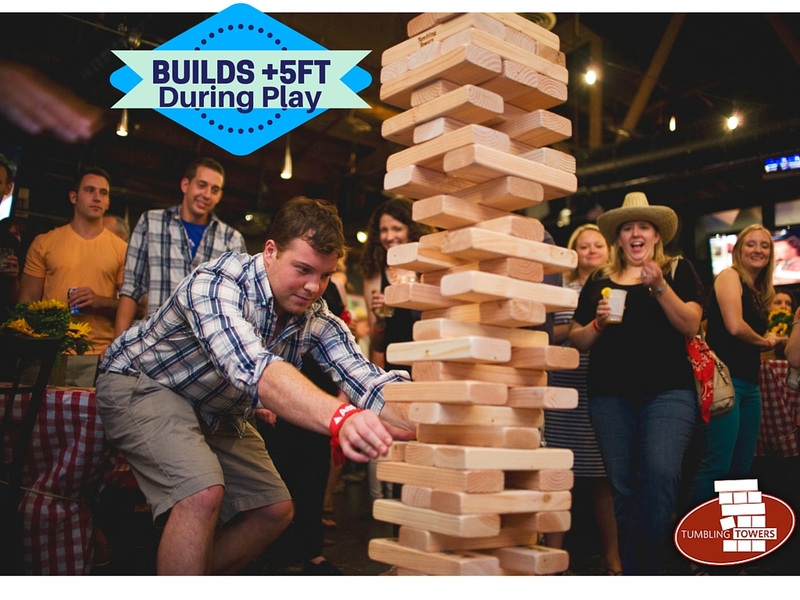 Build up the Giant Jenga set as high as you can without making the blocks fall! Do you have what it takes? Giant Jenga rentals now available. Also checkout our select of giant games for rent.